Located in the heart of Kota Bharu, this hotel is within 1 mi (2 km) of Sultan Mohammad IV Stadium, State Museum, and Siti Khadijah Central Market. Istana Jahar is 1.2 mi (2 km) away. Along with a restaurant, this smoke-free hotel has a conference center and self parking. Other amenities include a 24-hour front desk. All 172 rooms offer free wired Internet, rainfall showerheads, and LCD TVs with satellite channels. Other amenities available to guests include ceiling fans, hair dryers, and laptop-compatible safes. The hotel offers a restaurant. Onsite parking is available (surcharge). 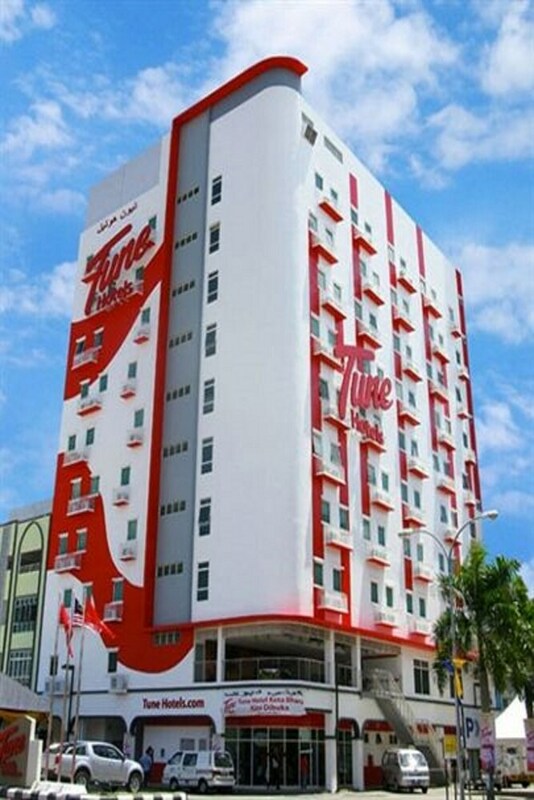 Tune Hotels - Kota Bharu City Centre is a smoke-free property. Haiyaki Restaurant - This restaurant serves breakfast, brunch, lunch, and dinner.